Most rooms can be reserved for S/C or B&B use. 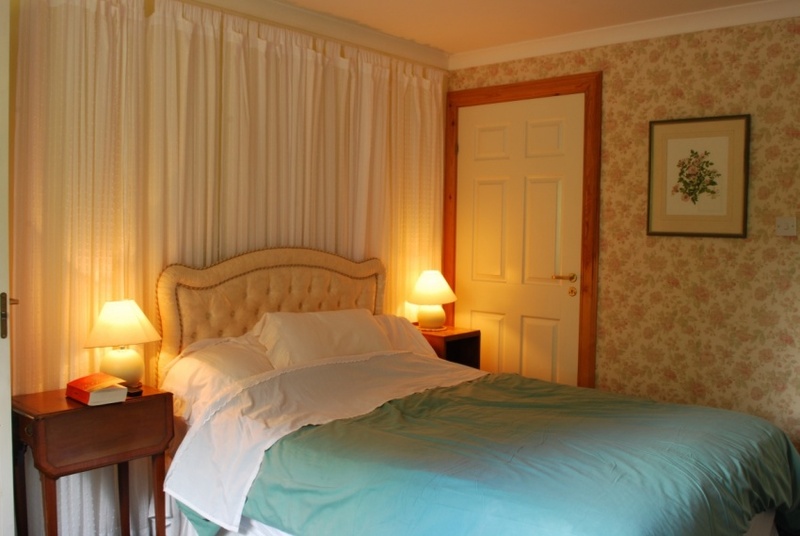 Bed & Breakfast accommodation: Six rooms offering 14 bedspaces, + optional cot or extra beds. 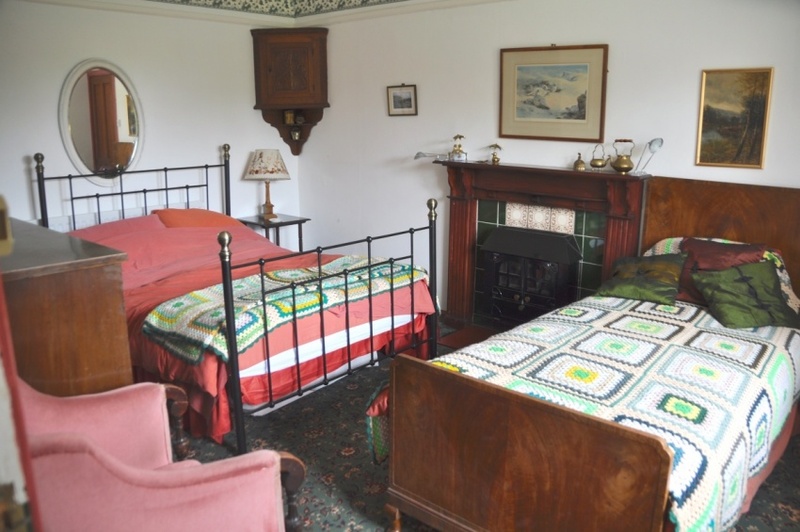 First floor, One double (Chaffinch) and two family rooms (Dipper & Robin) and bathroom. Ground floor, One en-suite family room (Wagtail), plus extra bathroom. Interconnecting door to River Suite (see below). First floor, with same view as Chaffinch, Family room with double bed and a single. En-suite Family Room. Ground floor with view up river. Shower room en-suite, and extra bathroom next to the room. 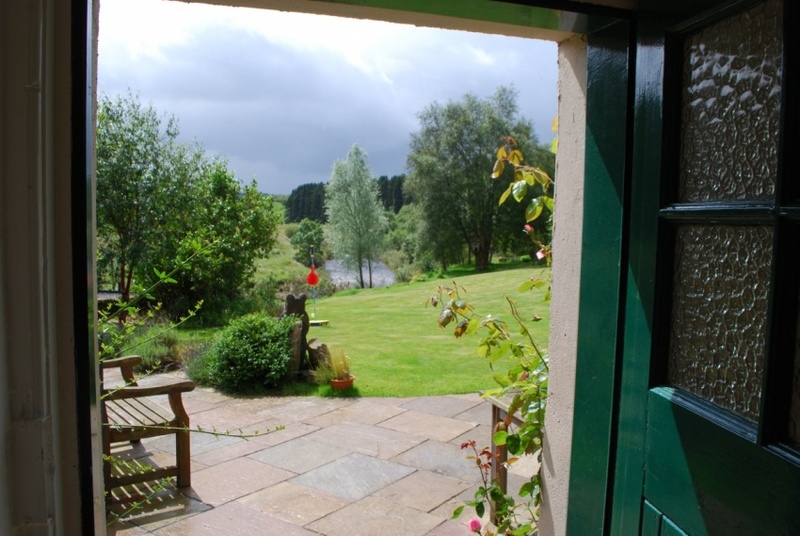 The River Suite has its own parking space, entrance, kitchen and sitting room with french window into the garden, a breakfast patio, and is wheelchair friendly. 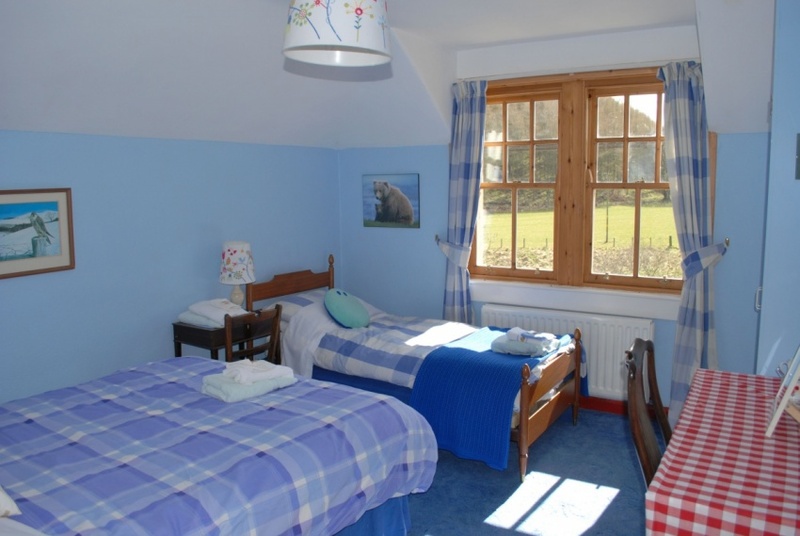 The en-suite bathroom is accessible to wheelchairs and has a seated shower. An interconnecting door can link it to Dipper, an en-suite family room. The small kitchen/dining room with glass door looks out towards the river, the summerhouse and trees. 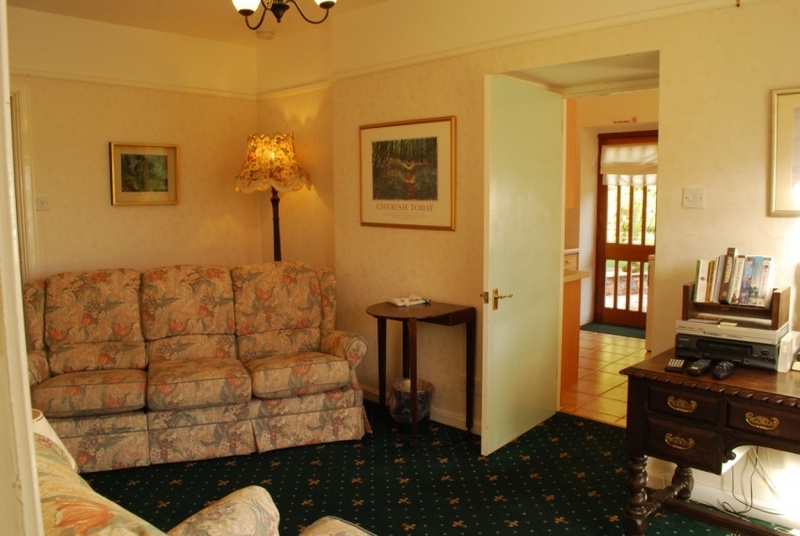 The suite is fully accessible to wheelchair users. 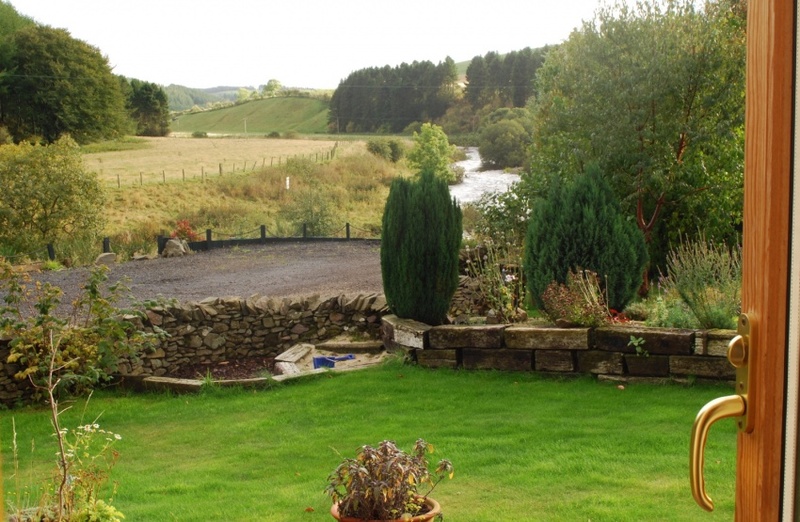 Modern & fully equipped with M/W, D/W, W/M, F/F; access to tumble drier etc. 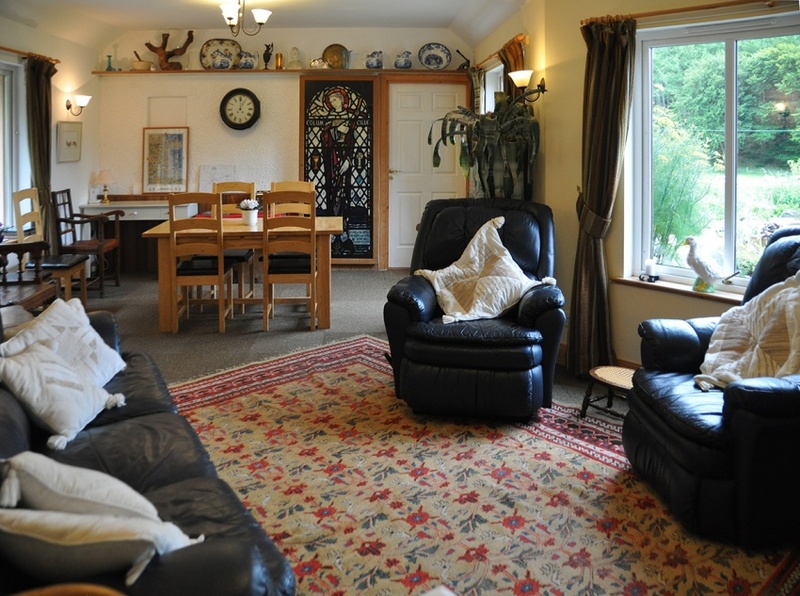 The River Suite is fully accessible to wheelchair users, including the large en-suite shower, access to the garden, and paths across the footbridge over the stream. Kitchen surfaces are a little lower than standard, and finger-touch bedside lights add to the comfort at bedtime. 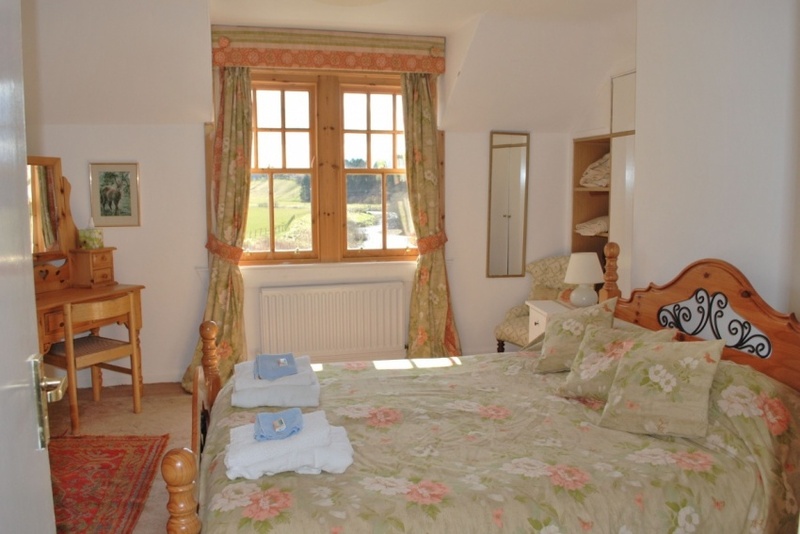 Extra rooms: The River Suite and the Cottage can be run together as one 4-bedroom unit, and a further two bedrooms, when available (a twin and a double with shared bathroom), providing a total of 14 bedspaces. There is also room for Z-beds if necessary. A cot is also available. 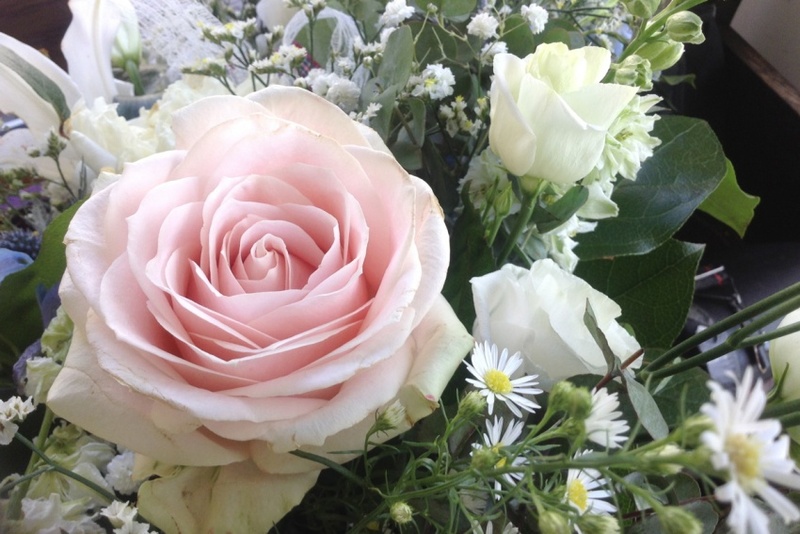 Late Breakfasts: B&B guests in the Cottage or River Suite who wish to breakfast late (eg after weddings) can be provided with all the necessary food to prepare their own full breakfast. Departure time is 10.00a m unless previously arranged otherwise.